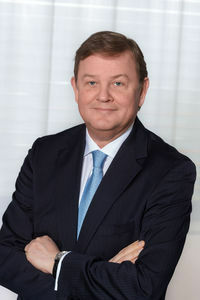 Feike Sijbesma, CEO Royal DSM, the Dutch Life Science and Materials Science company active in health, nutrition and materials (and the global number 2 on the Fortune #ChangetheWorldlist 2017) has been Claudy Jongstra’s mentor for nearly a decade. After getting to know each other when DSM gave Claudy an assignment for a work of art in 2006, a long term relationship and a special friendship developed. Claudy calls Feike her ‘shepherd’ and he helps her and Studio Claudy Jongstra in many ways, giving advice and deploying his network. Sijbesma acts as an important guide and council, supporting Jongstra in several of her activities and involving her in important fora on sustainability.